Among the various type of beauty devices, hair removal devices are the largest contributor to the revenue generated in the global beauty devices market. The largest share of hair removal devices owes to the rising number of hormonal imbalance cases, specifically worldwide prevalence of polycystic ovary syndrome (PCOS), the most common hormonal disorder among women leading to facial hair growth. The availability of range of hair removal devices, such as trimmers, clippers, epilators, and shavers provide the consumers with wide options for selection and are indicative for the largest share of the device. The innovation in light/led therapy and photo rejuvenation devices holds a promising growth in demand during the forecast period. The light/led therapy and photo rejuvenation devices addresses wide range of skincare issues, such as wrinkles, dark spots and acnes leading to the high growth in demand of these devices in future. Salon and spa is the major share holder based on end user for beauty devices market. The category’s large size is due to the increase in number salon and spa on a global level. Also, the increase in disposable income among emerging economies, and awareness to beauty treatments are expected to contribute to its large size. Further, the at home class of end user is expected to witness fastest growth in demand during the forecast period, due to the large availability of products with easy to use interface are gaining popularity among customers supporting at home facility. Hair loss condition is one the common skin condition that is associated to ageing population and hormonal imbalance. According to the American Hair Loss Association, Androgenetic Alopecia or common male pattern baldness (MPB) accounts for more than 95% of hair loss in men. Additionally, common causes for female baldness includes ageing, hormonal imbalance leading to PCOS, medication and other illnesses. There has been growing awareness towards beauty devices in both the developed and developing economies that will drive the growth of the overall global beauty devices during the analysis period. The devices available in the market are costly, that restrain the growth of the global beauty devices market. With the increasing research and development activities and development of technologically advanced and had held devices, the cost for these devices is also increasing. The cost of these devices has been the key challenge before the market players, as these players have to ensure the maximum profit without having any negative impact on the affordability of these devices. 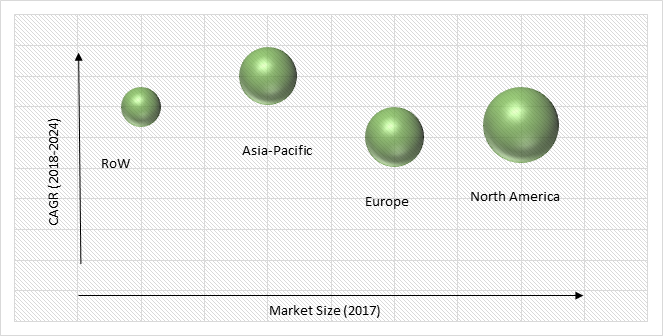 The market observes entry of local industry players, especially in developing economies of Asia-Pacific, creating threat of new entrants in the global beauty devices market. The new players are leveraging market growth through launching innovative and advanced devices at low cost, which leads to material injury to existing market players. Table 37 Snapshot – Lumenis Ltd.
Table 39 Snapshot – PhotoMedex Inc.
Table 40 Snapshot – Koninklijke Philips N.V.
Table 44 Snapshot – TRIA Beauty, Inc.